In addition to the Four Corners Monument — where Colorado’s southwest border meets Arizona, Utah and New Mexico — the area is filled with archaeological sites, remote landscapes and scenic byways waiting to be explored. 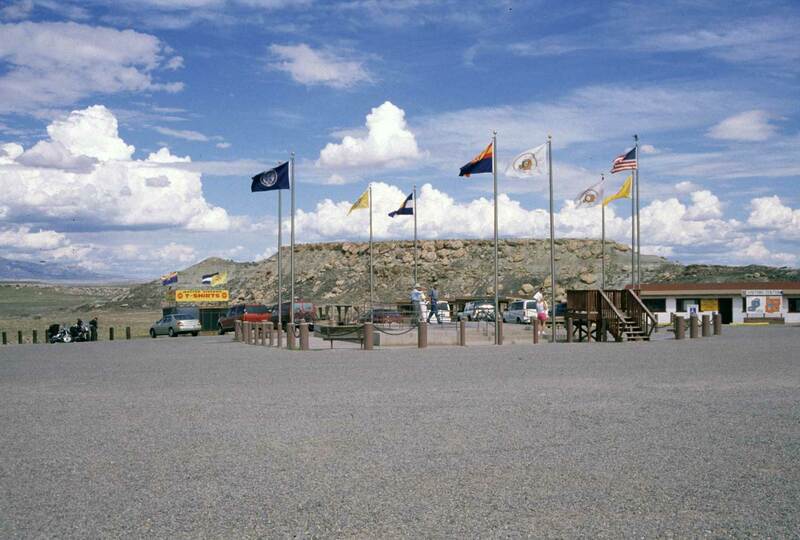 Travel to the southwestern-most point in Colorado and you’ll reach the Four Corners Monument, an intersection with the three surrounding states’ borders. 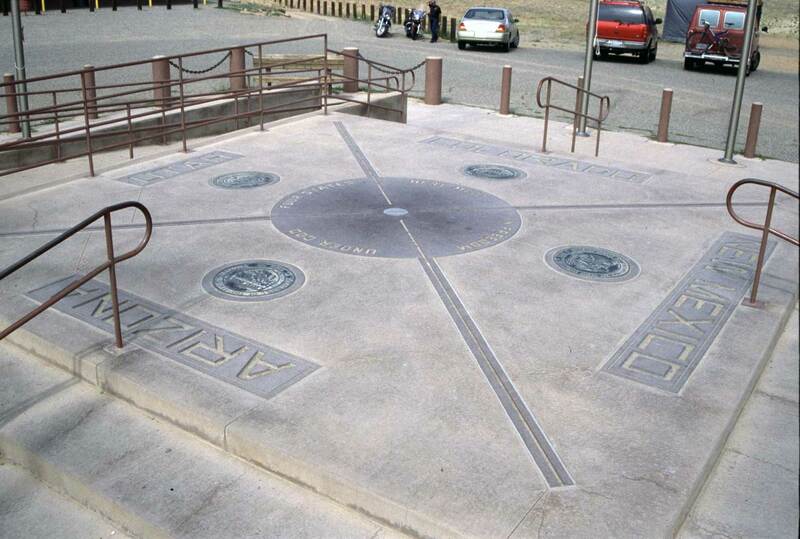 The original marker was placed in 1912, and these days a bronze disk embedded in granite identifies the only spot in the U.S. where you can stand in four states at once. Aside from the requisite photo op, pay a visit to the Demonstration Center for jewelry, crafts and food made by Navajo artisans. Arriving by car or RV, the landmark is approximately 45 minutes from Cortez via U.S. Hwy. 160; the drive from Denver to Cortez is roughly seven hours on U.S. Hwys. 285 and 160. If you cross into Colorado from the south on Hwy. 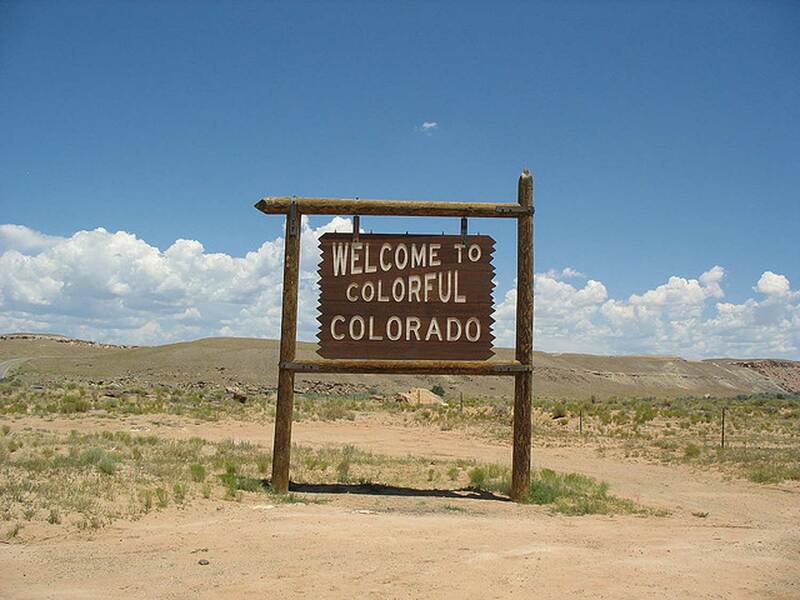 160, you’ll be greeted by one of the rustic-looking “Welcome to Colorful Colorado” signs, which are popular for snapshots. As you approach the Four Corners from other parts of Colorado, your route will likely take you past the towns of Durango — the departure point for the Durango & Silverton Narrow Gauge Railroad — Mancos, Cortez and Towaoc, where the Ute Mountain Casino is located. This part of the state is rich with archaeological sites that offer insight into the Ancestral Puebloans who lived here long ago. Follow all or a portion of the 116-mile Trail of the Ancients Scenic Byway that connects don’t-miss stops like Mesa Verde National Park, with its famed cliff dwellings; Ute Mountain Tribal Park’s rock art; the Canyons of the Ancients National Monument, home to Lowry Pueblo and bolstered by the Anasazi Heritage Center that serves as a museum and jumping-off point to the monument; and even Hovenweep National Monument, straddling Utah and Colorado and known for its stone towers. You can also drive the San Juan Skyway, a 236-mile loop on which you’ll encounter breathtaking views of massive peaks and national forest. Travel through mountain towns like Durango, Ouray, Telluride and Silverton for a taste of the mining era in the late 1800s. Visiting this far corner of Colorado also affords the perfect opportunity for a road trip of the surrounding region. Mesa Verde Country is part of the Grand Circle, an area in the Southwest that encompasses portions of Colorado, Arizona, New Mexico, Utah and Nevada. Here you’ll find the largest concentration of national parks and monuments in America. From the Four Corners you could venture to Monument Valley, Canyonlands National Park, the Grand Canyon and other attractions across the high desert of the Colorado Plateau. Plan a detailed seven-day itinerary with the help of Mesa Verde Country’s website. Once in the area, stop by the Official Colorado Welcome Center at Cortez for additional resources. Read more about casinos and gaming in Colorado’s Four Corners region.